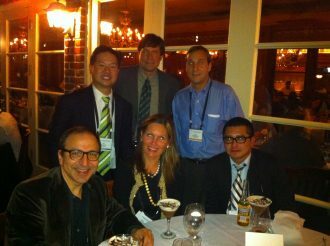 Last week we attended the 2010 IFATS conference in Dallas, Texas. IFATS (International Federation of Adipose Therapeutics and Science) is an international organization whose sole purpose is to study adipose tissue. You can learn more about IFATS at their website, IFATS.org. Adipose tissue is your fat tissue. The organization not only includes plastic surgeons, but many other M.D. specialists, and researchers, who are all interested in fat. In the eight years since its founding, the focus of the organization had included ways to treat excess body fat and tissue engineering. However, recently there has been a surging focus on the use of adipose tissue as a source of mesenchymal stem cells. These adipose stem cells (ASC’s) are regenerative cells that have the potential to regenerate and repair different body issues, and will likely be a big player in the new pillar of medicine called REGENerative Medicine (REGEN). This year’s IFATS conference was divided into eleven scientific sessions. Every single session was focused around the use of adipose stem cells in some shape or form. While some medical professionals have remained skeptical of the adipose stem cell movement, the breadth and wealth of information made available at this years IFATS meeting may have even served to get the critics thinking. Most sessions included presentations of pilot studies or clinical trials which evaluated some aspect of adipose stem cells. Advances in tissue engineering included using Restylane ® as a scaffold and seeding it with adipose stem cells. Therapeutic efficacy with human and animal ASC’s for a long list of diseases were presented. These included: diabetes, myocardial infarct, radiation injury, arthritis, critical limb ischemia, periannula fistula, wound healing, pulmonary fibrosis, and Alzheimer’s disease. Several offshore clinics working with adipose tissue also made case presentations. Point of care device makers and collagenase suppliers gave a shout out for adoption of a standard suite of analytical methods. Two exciting take-aways for the Plastic Surgery world were the use of uncultured (unexpanded) stem cells, known as the SVF (stromal vascular fraction) in therapeutic applications, and the recurring theme that adipose derived stem cells (ASC’s) enhance the effectiveness of fat grafting. This is due in part to the vasculogenic nature of adipose stem cells, which means that adipose stem cells create more blood flow to the tissues. Plastic Surgeon Sydney Coleman, M.D., the innovator of modern day techniques for fat grafting, presented a paper which will no doubt rock the fat grafting world. The title of his paper was “Density Fractions of Liposaspirate: Implications in Fat Graft Survival.” His paper calculated stem cell yield in various fractions of the lipoaspirate. A quick history on fat grafting. Fat grafting has been around for over 100 years. The first fat transfers to both the face and breast were performed over a century ago. In 1893, a German physician, Dr. Franz Neuber, used fat transfers to correct facial defects. Only two years later, in 1895, Dr. Karl Czerny used fat grafting techniques for breast reconstruction to restore symmetry of a breast defect. Nearly a decade ago, Dr. Sydney Coleman introduced a standard methodology of fat grafting which has been used successfully and reproducibly in practice by Board Certified Plastic Surgeons for years. We have been talking about these elements of successful fat grafting right here in our blog since 2006. At the IFATs conference, Dr. Coleman presented a paper which determined that some parts of the centrifuged fat contain higher numbers of stem cells. In particular, he quantified how after centrifugation of the fat, the middle part of the tube, known to plastic surgeons as the ‘fat cake,’ is not one single entity, but has two sections of fat in the tube. 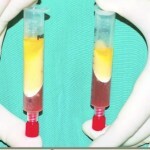 The bottom part of the fat cake has a higher density of stem cells than the top part. Additionally, Dr. Coleman concluded that the high density fractions of lipoaspirate are superior to the low density fractions in terms of fat survival. So, basically . . . fat grafts with a higher population of adipose stem cells survive longer. It means that stem cell enhanced fat grafting will provide better results when the surgeon is highly selective about the fat reinjected, using the bottom, high density part of the “fat cake” instead of using all of the centrifuged fat. So, here’s to PHAT stem cells, long lasting fat grafts, and the future of medicine! Here we are at the dinner with the IFATS glitterati. We had a great time exploring and comparing Apple apps at the dinner table – BUMP! We had a wonderful time at this year’s IFATS Conference in Dallas and are already looking forward to next year’s itinerary in Miami. I cannot recommend anyone unless i know their skill level. I developed the Bmore procedure on my own (Bmore comes from the word bALTImore). As for the amount, contact Kellky at Kelly@cosmeticsurg.net, she can help you out. Hope this helps and Merry Christmas to you too!